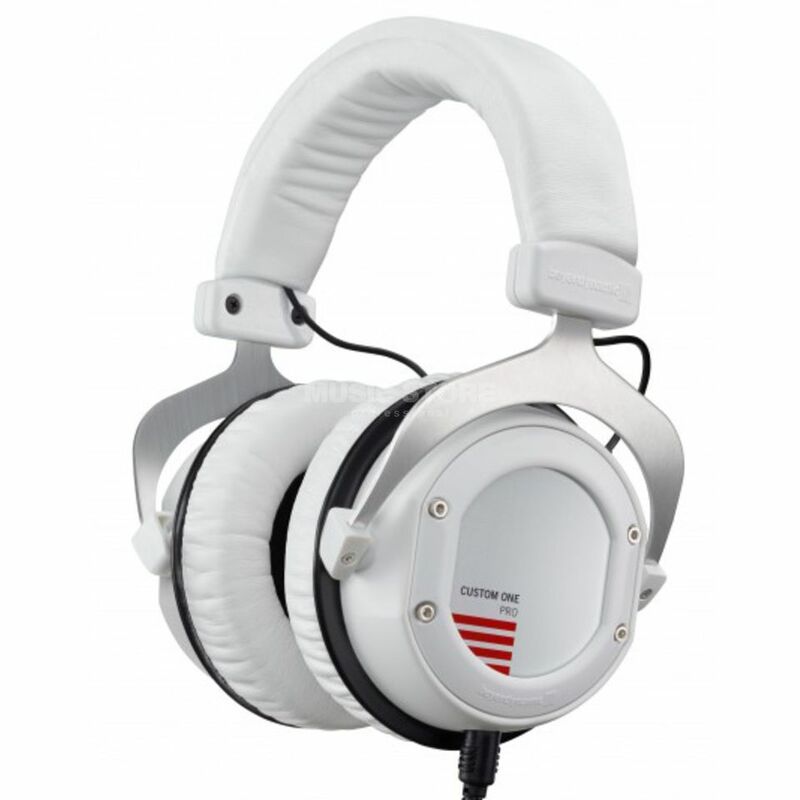 The Beyerdynamic Custom One Pro Plus Over-Ear Headphones White features a unique custom design and combines an extraordinary sound with many individually adjustable parameters providing an all-in-one solution for almost every purpose in private applications such as listening to music when travelling or on a stereo system at home, using Skype, for gaming or video and podcast recordings. The ‘Plus’ in the product name stands for an extensive standard in design and comfort. With the CUSTOM Sound Slider you can easily adapt the audio profile of the headphones to your personal taste or to the music you are listening to. There are four different profiles to choose from, ranging from "Analytical" to “Heavy Bass“. CUSTOM ONE PRO PLUS delivers a very clean and rich bass, which you can always regulate in its intensity. CUSTOM Style allows you to change the look of your headphones at any time. 16 included design covers are only the beginning. Furthermore you can choose from different optional rings, additional design covers, ear- and headband pads available from Beyerdynamic. The CUSTOM ONE PRO PLUS comes with a built-in microphone and remote to pick up calls and control media playback on smaller mobile devices. I've bought these headphones 4 months ago, and still they serve me pretty well. First impression - total quality, starting from soft white artificial leather, solid steel yet very light construction and finishing with a great bundle of different stuff including a 1/4 to 1/2 inch jack adaptor, a short cable with mic for use with phone, a longer one for plain and whole bunch of fancy caps to personalize your gear. Besides the packaging is so good, that I still cannot put it in the garbage. But the main thing is sound. Sound wise these pieces of audioart are just awesome, especially if you are listening to modern music with emphasis on bass and mids. So far they are especially good for electronic music (trance, breaks, etc), rock, metal, pop. If you are for classic music - this aren't your phones. The upper frequencies are not so good as in, for example, Beyerdynamic DT 990, but these have some serious bite and dynamics in low mids and bass. Also they have the "custom sound slider" option which allows you to change the low end response in 4 presets from bass slightly cut to standard bass up to 20dB bass boost. Very useful thing, if you want to have less lows or listen to The Prodigy on basses full on. The other thing about these headphones - they are very comfortable and durable. I'm using them mostly at home, listening to music, or playing along late night on my electric guitar - and I can keep 'em up on my head for hours and hours. The other big plus is that they could be used with most of mobile devices as the have only 16 Ohm impedance, and a very good outside noise isolation. So overall - very good headphones. But! You have to use them with a high quality HI-FI source to get most of them.